In 1941, after teaching sociology at New York University for two years, Estorick published the first of his two biographies of Sir Stafford Cripps, then Britain’s ambassador in Moscow and later Chancellor of the Exchequer. His research was to bring him into contact with many leading politicians of the day, such as Churchill, Eden and Bevan. Estorick visited Europe in 1946 to complete work on the second biography, and it was at this time that he began to buy drawings by artists such as Picasso, Gris, Léger and Braque. In 1947 he met Salome Dessau on board the Queen Elizabeth ocean liner while returning to New York following another visit to Europe, and the couple were soon engaged. Salome (1920-89) was the daughter of a textile manufacturer who had left Leipzig in 1932 and settled in Nottingham, where she and Eric married in October 1947. During their honeymoon in Switzerland, Estorick discovered Umberto Boccioni’s book Futurist Painting and Sculpture (1914) which marked the beginning of his passion for Italian art. Before returning to England the newlyweds visited the studio of the erstwhile Futurist Mario Sironi in Milan, where Estorick bought ‘hundreds and hundreds of drawings and as many pictures as I could get into my Packard Convertible Roadster’. The couple travelled to Italy on many occasions during the late 1940s and 1950s, meeting and befriending major artists of the day, including Massimo Campigli and Zoran Music. Their collection of Italian art took shape between 1953 and 1958 and was displayed in a series of major public exhibitions between 1954 and 1960, both in Britain and abroad, including a show at the Tate Gallery in 1956. Around this time Estorick became a full-time art dealer and acted as a representative for a number of Hollywood clients including Lauren Bacall, Burt Lancaster and Billy Wilder in the London auction rooms. In 1960 he founded the Grosvenor Gallery in London through which he promoted the work of a range of international artists. The Tate Gallery requested a long-term loan of key works from the Estoricks’ Italian collection, which lasted from 1966 until 1975, when they withdrew their pictures and went to live in Barbados. In 1968 the Italian Republic conferred the title of Cavaliere on Estorick, followed in 1970 by the higher honour of Commendatore for his services in promoting Italian art. In 1979 the Italian government showed interest in purchasing the collection but the family refused this offer, along with others from museums in the United States and Israel. 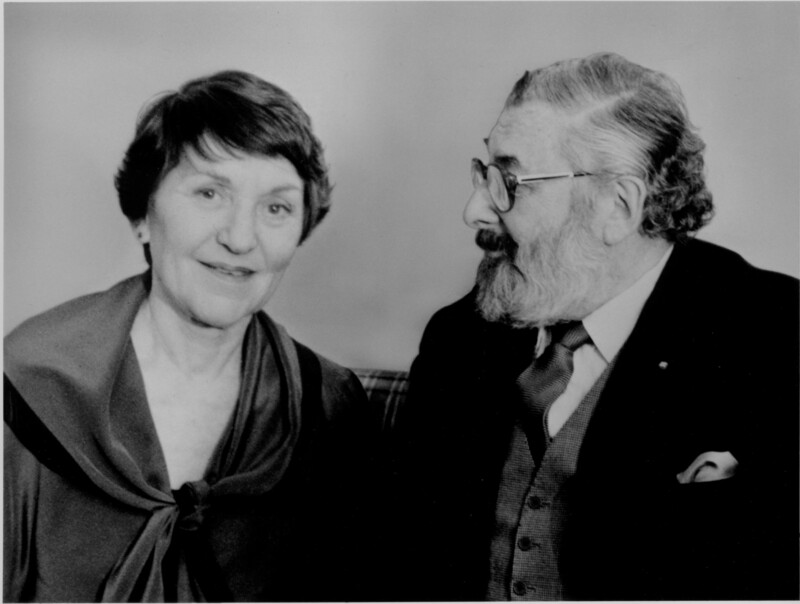 Six months prior to his death, Estorick set up the Eric and Salome Estorick Foundation, to which he donated the couple’s Italian collection. In 1994 the Georgian house at 39a Canonbury Square was purchased to house the works. Initially renovated with a substantial grant from the Heritage Lottery Fund, it was once more significantly refurbished in 2016 to improve access, enlarge the bookshop and extend the café.